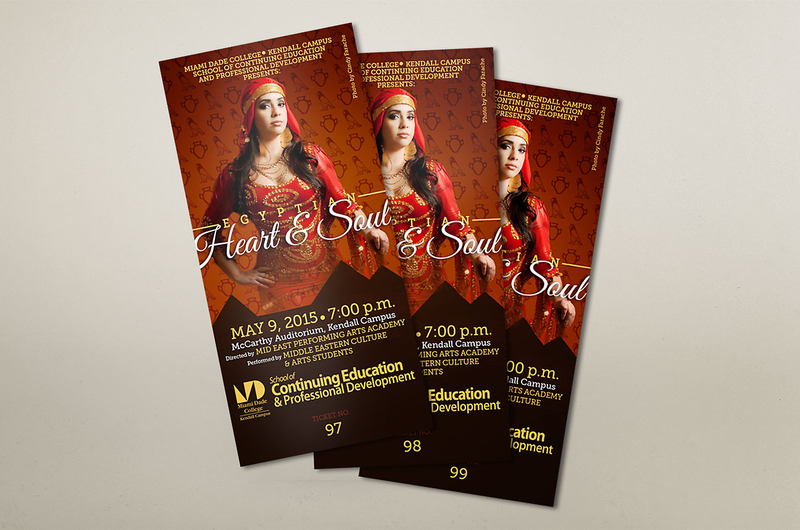 Promotional materials for Miami Dade College's 2015 Belly Dance show. 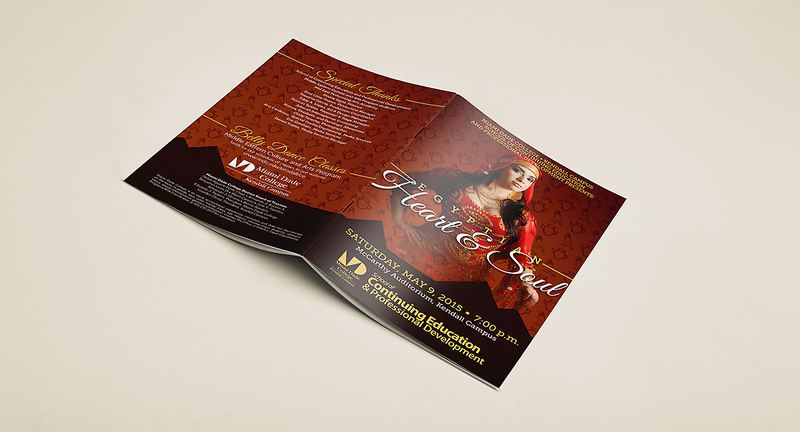 Promotional materials for Miami Dade College’s 2015 Belly Dance show. 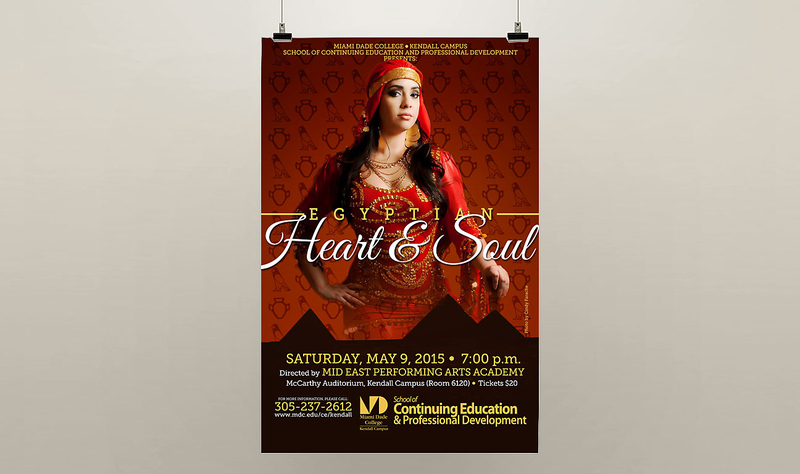 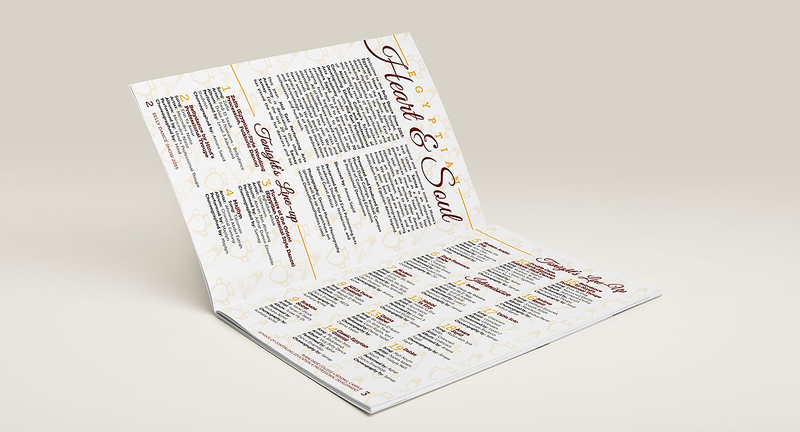 Featuring a show poster, catalog, and tickets, the designs reflected the show’s theme– Egyptian heart & soul.